It was one of my little boys first birthday party, and we threw a lovely family party for him which was also a great excuse to get everyone together in one room and dress up! 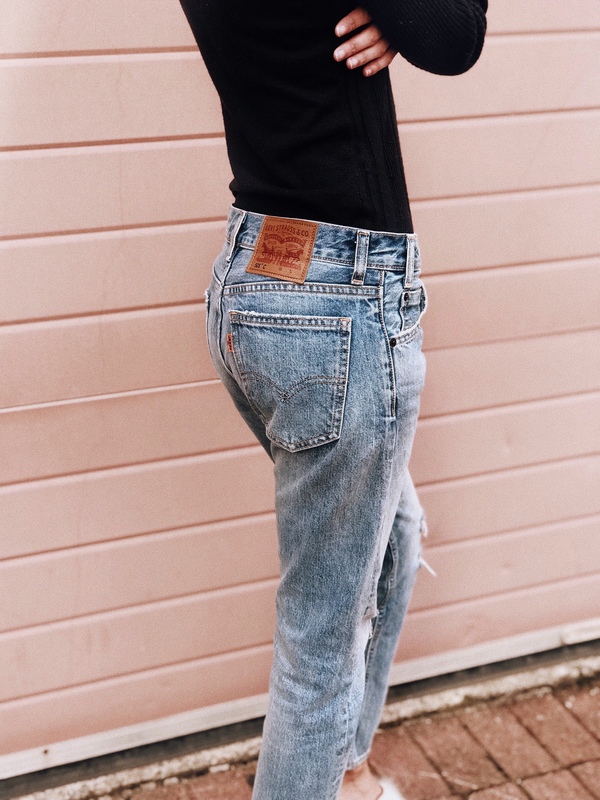 I’m wearing my new Levis 503 that my sister got me (here) and I’m so obsessed that I also picked out my favourite denim pair for you guys here. I’ve been wanting a pair of this classic vintage brand for some time and now I finally have a pair in my wardrobe! Yes I can finally say I own a pair of the red label. What I love most about the 503 is the vintage “mom” feel. 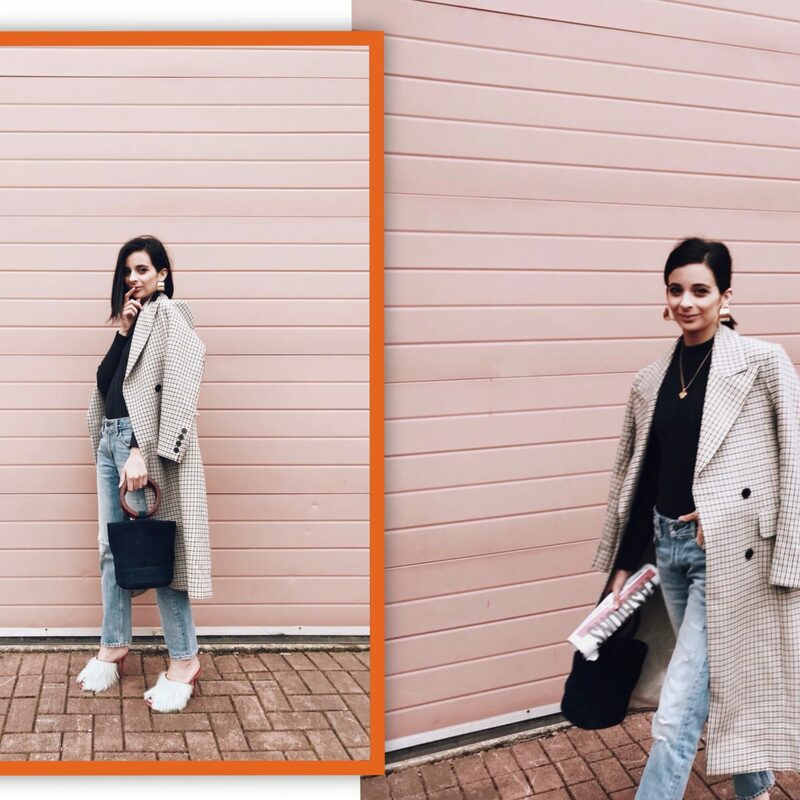 It sits slightly higher on my wait, helping to elongate my 5″6 legs and the straight cut (which is my favourite kinda cut) give me all the 90’s feel I need. As the party was an indoor event I teamed my jeans with the classic turtleneck from Mango (here) to keep my warm and cosy yet classic. 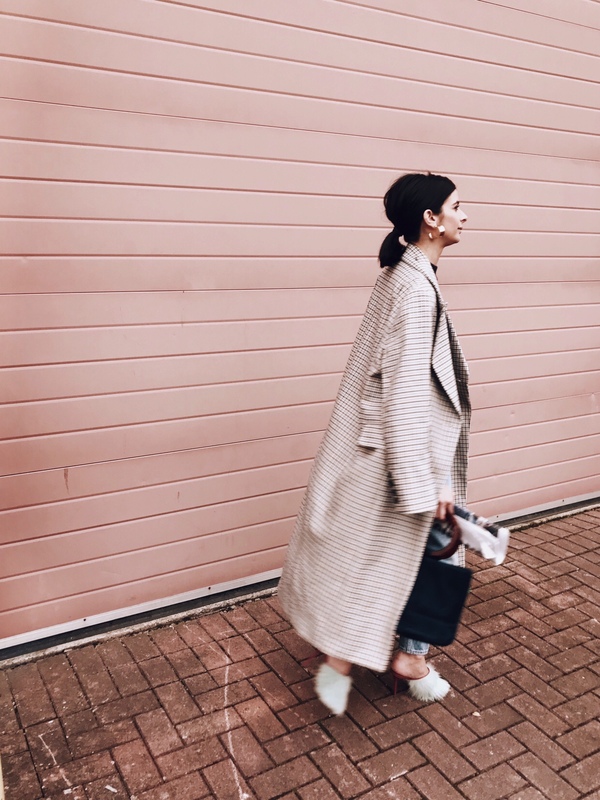 Now this Heritage Coat from H&M has now sold out unfortunately (but super similar here) and what I love about this boxy manly oversized fit is the dramatic silhouette it’s given me. It’s a classic coat that will last me year after year, kinda like your camel coat, which makes the money spent on this all worth the while. 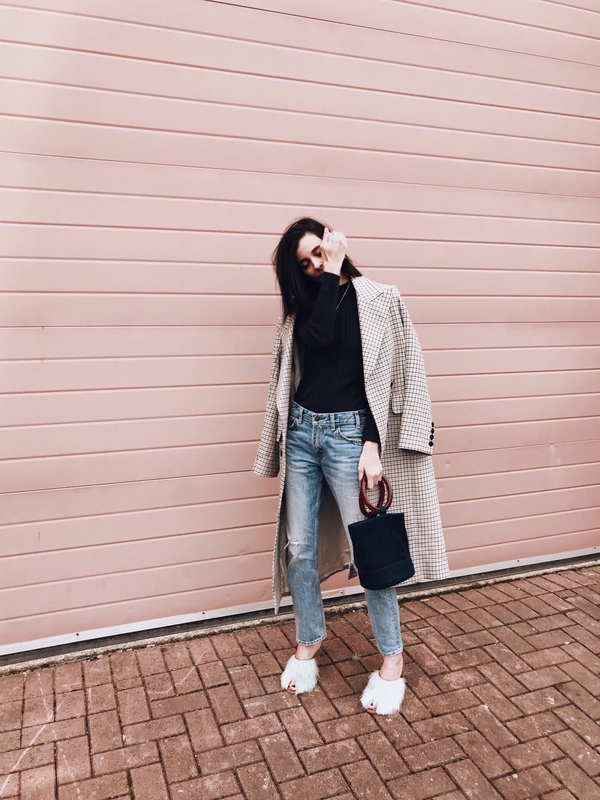 It adds a little touch of sophistication to the look whilst my furry Malone Souliers ( now sold out) pulls the look together making it a touch fun (and not so simple!). 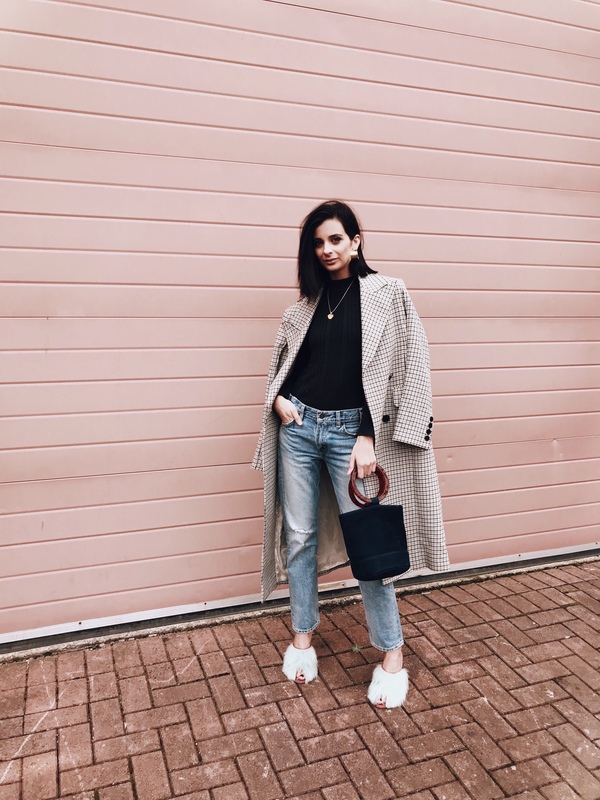 Now as I’m a huge fan of Simon Miller, this bucket bag here from Net-A-Porter is the perfect investment piece to my wardrobe and I’ve literally not been able to take it off since I’ve got it! I bought the bonsai 20 bag as it’s a lot bigger than the 15 bag. The bonsai 20 bag is the perfect size to store all your essentials like your wallet, phone, keys and maybe a few of your favourite lipsticks! I would not recommend the 15 bucket size bag, I purchased that first and had to send it back, as it wasn’t really practical! In other words, I could only fit my phone! The new edit and look is just hu what I love. Vintage real scenes and I loved your five facts on your stories. I would have said you were French! Babe, I love your Instagram feed. 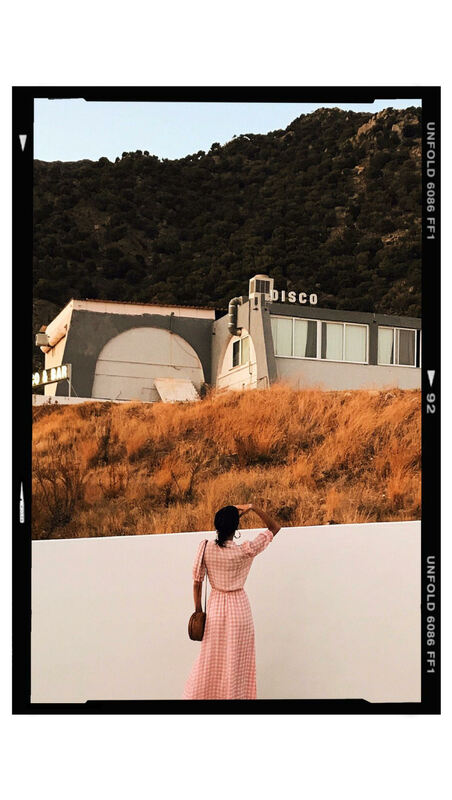 Do you think you can show us how you edit? I need those jeans in my life!